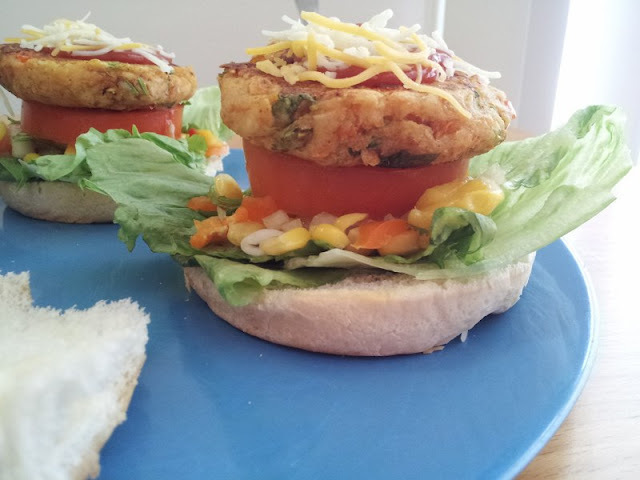 For the patty , mix all the above mentioned ingredients and prepare very soft dough. Flatten these balls in between your palms and do thick patties. Place a skillet on medium flame and shallow fry these patties till you get light brown colour on both sides of patties. These patties are crisp on outside and soft from inside. 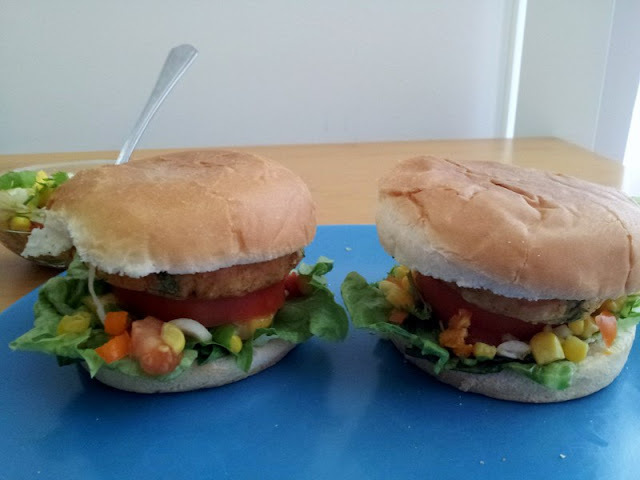 Yumm Veg Burger and a tangy twist with Mango salsa. Luv Ur recipes 2. I love your stunning blog. 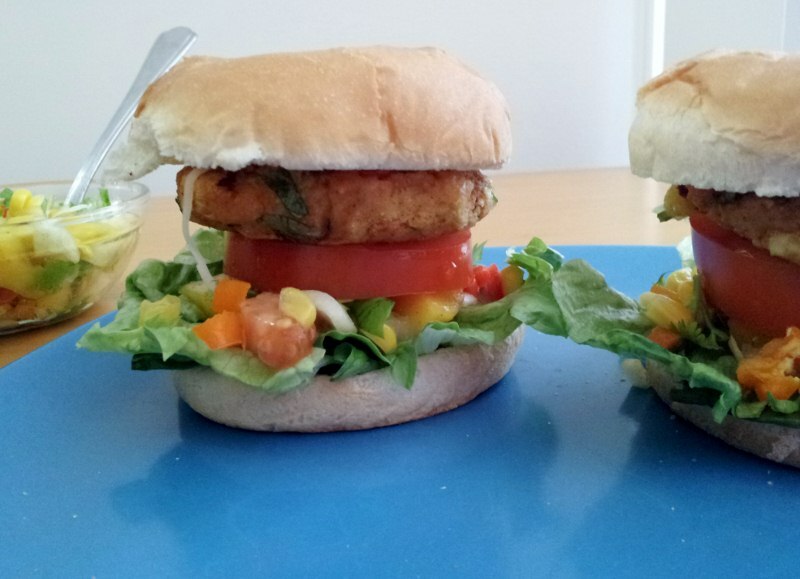 These burgers look just delicious! Love your blog! Glad to follow you and keep up the good work..
Hey! thanks for dropping by! You've got a delicious page! :) Following you now.